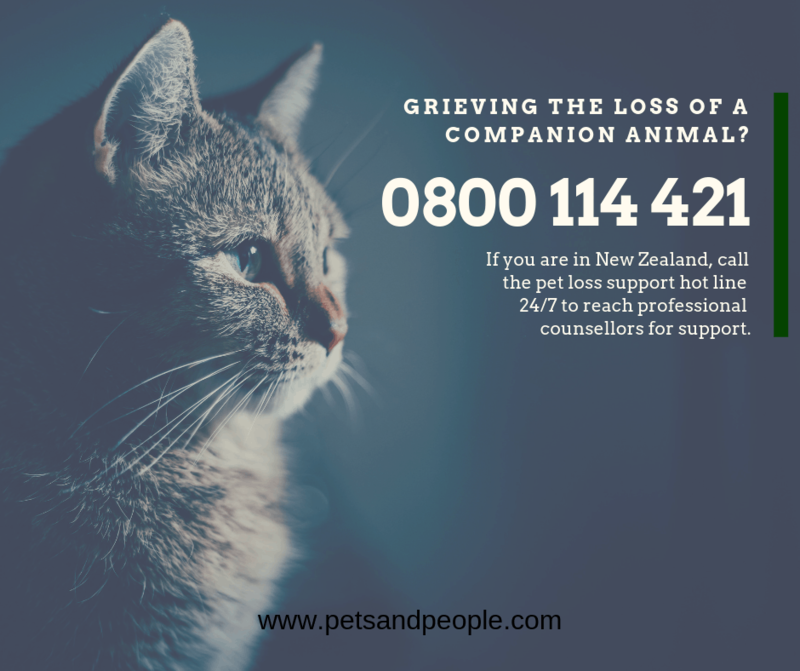 An national NZ hotline has been set up to connect grieving animal lovers with counsellors who can help them cope with their loss. Originally launched in Australia, the Pets and People hotline is now available to New Zealand callers on 0800 114 421. The hotline is serviced by qualified and experienced counsellors who are able to support you through the loss of any kind of companion animal. If a client would prefer, they are also able to set up a face-to-face meeting with a counsellor in their price range, or access the complimentary services Pets & People has to offer. Pet loss is most often associated with the death of animal, but can also be experienced through other scenarios – such as a relationship breakup, a relocation or a missing pet. Any animal lover grappling with these emotions is welcome to call the hotline and speak to our receptionists, at any hour of the day or night. If a pet loss counsellor is available, the call may be transferred, otherwise arrangements will be made to have the call returned within 24 hours. Dr Michael O’Donoghue, who established the service, believes the grief associated with the loss of a pet is often misunderstood. We spend up to 24 hours a day with our beloved animal companions and become extremely attached to them. Yet when they pass, we are often expected to simply shake it off, or bounce back straight away. People would never challenge us to recover from the loss of a loved one so quickly, and we need to allow for a process of grief when we lose a pet as well. It was this sentiment that was the catalyst for launching the first pet loss support line in 2017, followed by its New Zealand counterpart in 2018. Dr. Michael O’Donoghue has always been drawn to the human-animal bond and is passionate about supporting not only the pets he cares for as a vet, but also the people who love those pets – whether that is the pet owner or other animal care professionals. 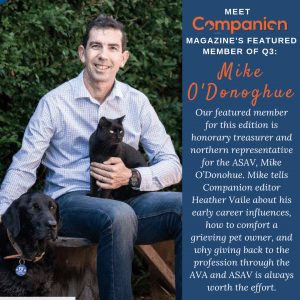 This commitment is truly reflected in his work; with the Australian Veterinary Association recently selecting Dr. Michael O’Donoghue for the AVA Meritorious Award and Companion Magazine nominating him as featured member in recognition of his contributions to the industry. People are no longer expected to grieve alone. Support is a phone call away. If you or a loved one is struggling with the loss of a beloved pet – we are here to help. If you are in Australia, the service is also available on a local AU number of 1300 431 450. If you’re in need of help free of charge, Dr Michael O’Donoghue has also curated a list of counselling and support centres that offer complementary or donation based services – this list is available on the Grief and Bereavement Support page his Pet Loss Support website – Pets & People. PLEASE NOTE: The hotline itself is free of charge, though once connected to a counsellor, the rates may vary according to the service provider and will be discussed with the caller before proceeding. Callers can benefit from the option to claim back the fees through some insurance companies, if and when referred by a GP under the scope of counselling. Do Dogs Show Signs of Mourning?